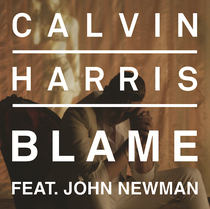 Fresh from being named by Forbes as both the highest earning British musician as well as the #1 DJ in the world, Calvin Harris has just released his new single ‘Blame’. Featuring triple Brit Nominee and million plus selling British singer John Newman, the record creates possibly one of Cavin’s most exciting musical pairings to date. ‘Blame’ debuted globally on 4 September and its video is directed by filmmaker Emil Nava. The track follows Calvin’s track, ‘Summer', which sat at the top of the Spotify Global Chart for nine weeks running and has amassed over 100 million streams to date. ‘Summer’ has now sold over two million downloads worldwide and has been #1 in over 40 global iTunes markets. Lately, Calvin has been touring the US and European festival scene with appearances at Coachella, T In The Park, Lollapalooza and Pukkelpop Festival.